Once again thanks for all of your help. Here are few ( not a long list though .. ) tips which might be helpful for some of you in passing the exam. 2. Special focus on Quality,Risk, HR, Communications, Contract Type and EVM questions. I got majority of the questions from these knowledge Areas. 3. There were close to 18 questions related to ITTO, more then 25 maths related, 5 questions from CPM, lot of questions from Quality, HR , Communications, Contract type ( which was really tricky ), Risk response types questions ( like which strategy PM should use or USED in the scenario ). 5. For simulation exams go with Simplilearn, Examcentral , PMstudy and of course izen bridge. 7. One day before the exam, dont study ( just a final glimpse on your notes should be helpful ). That would help you in keeping your mind fresh. 9. Exam was not tough but WORDY, TRICKY and will test you how you good your knowledge is and how well you are prepared. 10. If you see starting 5-10 questions tough, dont get panic. Just mark them without spending much time on a particular question. 11. Last but not the least... MANAGING TIME IS CRUCIAL. Timer will keep on running and its not easy to manage time and complete all the questions in 4 hours. All the very best for your exam and preparation. Feel free to get in touch with me in case you need any study material ( i have all the PDF's, so in case you having tough time finding or downloading let me know ). Once again many thanks to all of you. Your support is invaluable. Congrats Arpit on achieving your PMP !!! Congrats Arpit - I doubt if access to forum get expired; Access to Quampus gets expired. This is a free membership forum if I am not wrong (except for Exclusive area); does membership to exclusive area also expires if Quampus expires? 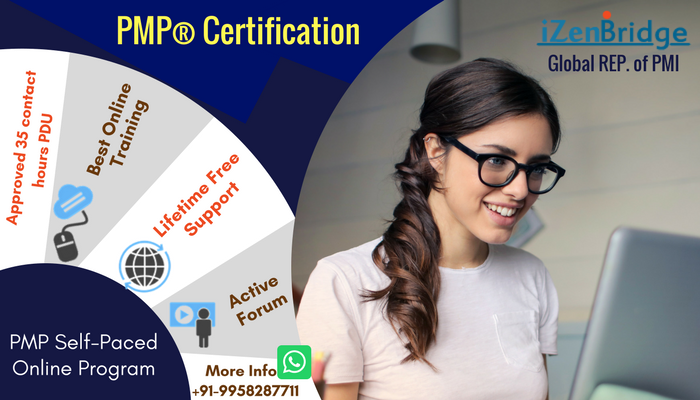 Hey Arpit - Many Congratulation on becoming PMP, and thanks on your crisp LL, You had mentioned about the PDF in your LL, is it something your prepared on your own or is it something you get once you register with the online program ? Since I'm new to this forum, I don't know much about it, additionally how did you managed to get over with the lengthy questions, is it enough to practice 600 questions for getting used to lengthy and wordy questions, before you hit the bull's eye? I find this portal pretty intuitive and professional and I'm planning to go for online program somewhere next week since I'm out of town and don't get much time to study. Sachin - PDFs which Arpit mention are pointing to various books used for preparation of PMP Exam. Example : PMBOK (PMI guide for PM knowlegde), Rita book for PMP, First Head PMP, Christopher Scordo book (it contains around 1050 questions/ answer explanation for exam preparation) etc. PMP Aspirant should enroll into PMI membership 139$ for one year - you get 150$ discount on Exam (saves around 11$ after you minus 139$ PMI membership fee), plus download PMBOK Edition 5 pdf book, access to Christopher scordo book through PMI books library online. Although - you can download this books easily through google search. Enroll into iZenbridge online prep course. Excellent and awesome! Definitely your money worth. It seems he is referring to questions other than Scordo. I did some google search and found there are few dumps flowing on internet referred as Actual Test Questions (which are quite old questions).